I'm going to admit right up front that I don't have a green thumb. It's not that I kill plants - it's that I have little to no experience with growing them. At the moment we have (count 'em) three lonely plants in our house. One is a pot of lavender I bought very recently. The other two are succulents that (fortunately) thrive on neglect. Outdoors my husband takes care of any planting that goes on. And there hasn't been a whole lot the last two years, despite my visions of ripe red tomatoes and thick, leafy kale. I'll take it as a hint that I recently received all these lovely gardening and plant-related books to review. I need to set aside a sleepy weekend afternoon to read through these instructive books in more detail with a glass of iced tea in hand. And then maybe get to planting? We don't have a lot of space in our yard for vegetable gardening, and my husband and I disagree as to where we should plant our veggies. My vote is for two little raised gardens in front of the shed on either side of the door. With that in mind, I've been browsing Garden Builder: Plans and Instructions for 35 Projects You Can Make. JoAnn Moser (DIY Maven) shows us how to make unique items that will make our gardens work more efficiently or just look more pretty (with concrete and copper stake art, for example). Using wood, concrete, metal and/or wire, you can build raised beds, harvest boxes, trellises, garden benches, planters, a tiny shed and even a toad house. Although I would love to make something decorative, like the "Deconstructed Concrete Gazing Ball," my first priority is a raised box like the "Terraced Herb Garden." The kids' potting bench project is super cute too. With all of the projects, the tools and materials are listed (including the sizes of the wood cuts), as are clear instructions and step-by-step photos. Moving for a moment to the indoors, I know houseplants have seen a resurgence in popularity lately. If you're looking for ideas as to which houseplants are most beneficial for you and your family, this next book is a great source. Houseplants for a Healthy Home: 50 Indoor Plants to Help You Breathe Better, Sleep Better, and Feel Better All Year Round outlines the health benefits and growing needs of plants from aloe vera through to the "ZZ" plant (Zamioculcas zamiifolia). The appendix allows you to look up health benefits (like fighting inflammation) and find plants in that category. 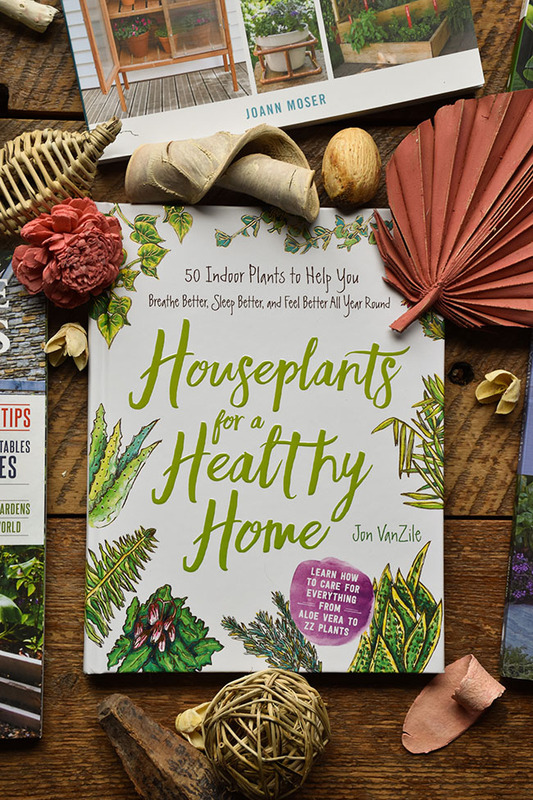 Written by Jon VanZile, Houseplants for a Healthy Home suggests plants that improve indoor air and others that are suitable for making tonics, poultices or tinctures to treat conditions such as stomach upset or skin irritations. Each profile also includes physical descriptions, size expectations, as well as water, temperature and lighting needs and growing tips. "In most cases, a sunny windowsill, a watering can, and a handful of fertilizer are all you need," says the intro. Also from the intro: "Houseplants for a Healthy Home is guaranteed to help you gain a green thumb." I'm going to hold them to that. 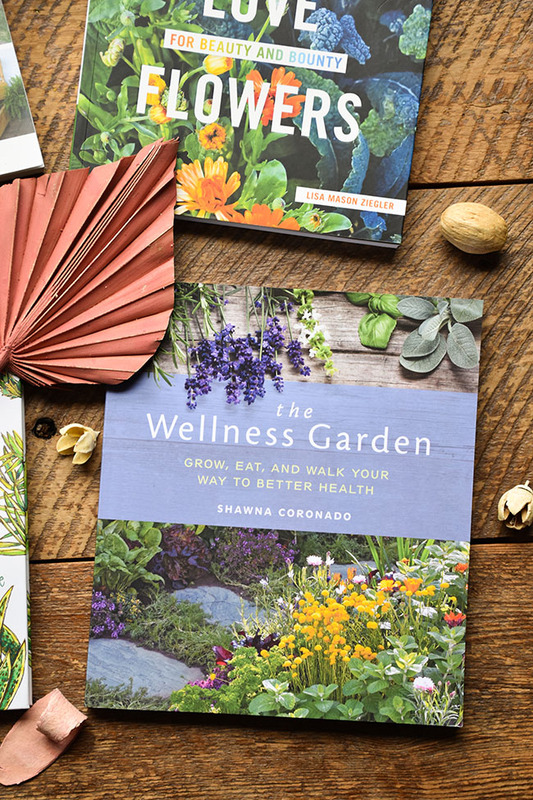 For Shawna Coronado, author of The Wellness Garden: Grow, Eat, and Walk Your Way to Better Health, her garden is a tool to help her fight osteoarthritis and other chronic pain issues. She overcame debilitating pain with better nutrition and exercise, while still focusing on gardening. 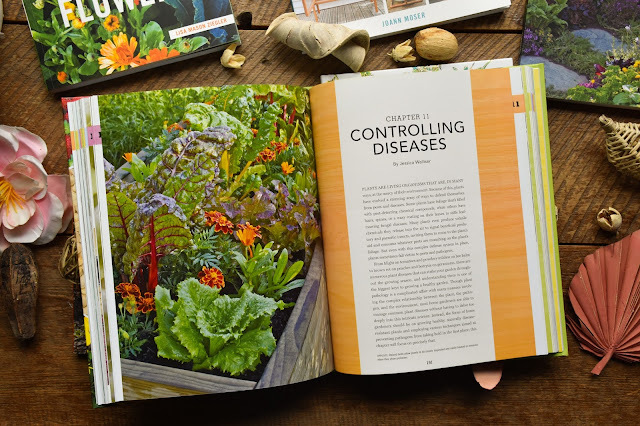 The Wellness Garden outlines the benefits of growing and eating produce, how to use ergonomic tools and methods to make gardening chores beneficial exercise and how to design your garden as a space for beauty and relaxation. Coronado looks at gardening as therapy for reducing anxiety, depression and pain, with therapeutic garden design and fragrance gardening to alter moods. She shares which veggies and herbs are more nutritive and vitamin-rich. 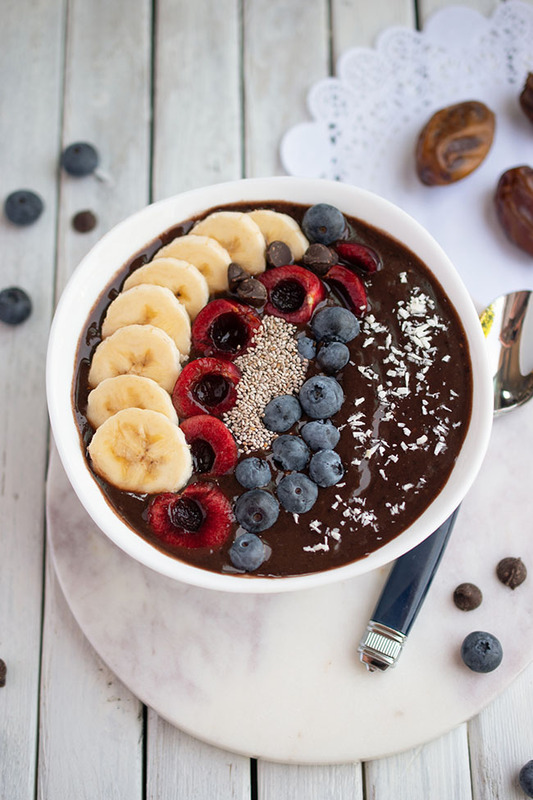 Get diet tips for anti-inflammatory living too. 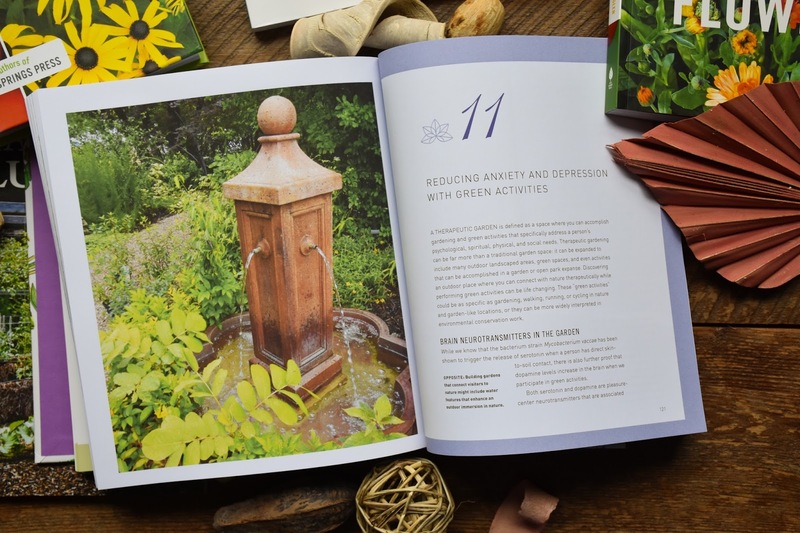 The Wellness Garden includes a section on the benefits of yoga and how to create a personal space for yoga or other exercise in your garden. "Gardening and spending time outdoors is, at least in my mind, the single most wonderful thing a person can do to feel well," writes Coronado. There's a bit of a love relationship going on in your garden that you may not even know about. Okay, you probably know. Vegetables love flowers. Vegetables Love Flowers: Companion Planting for Beauty and Bounty tells you which vegetables love which flowers. It's called companion planting and it's an old but a good way to increase your yields and fight garden pests. 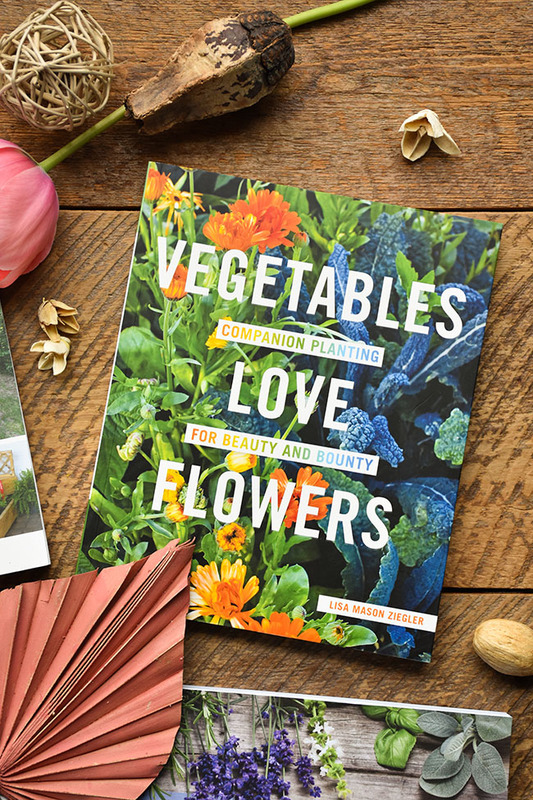 The book's premise is that vegetables love pollinators and pollinators love flowers. But there's a bit of an art to the whole thing. 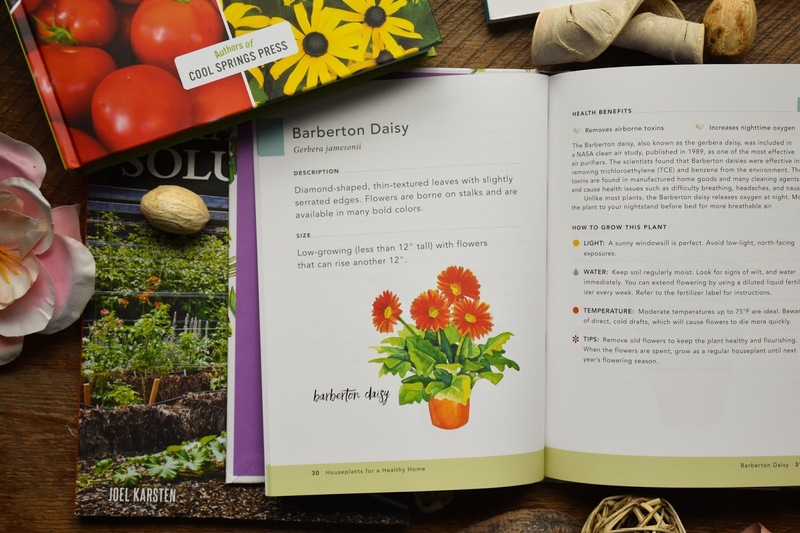 Follow the timetables, tips and planting schedules outlined in Vegetables Love Flowers to keep the flowers blooming and the pollinators buzzing. You'll have a wealth of flowers to cut and vegetables to eat. Sounds ideal right? 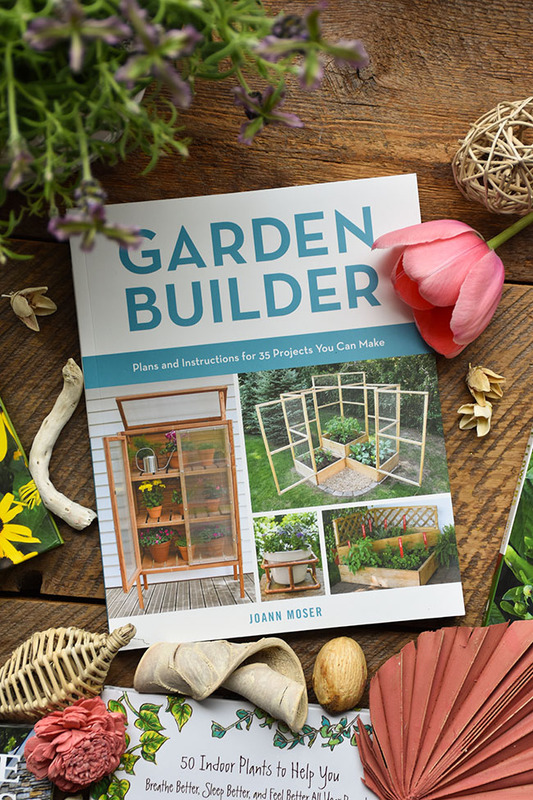 Urban cut-flower farmer Lisa Ziegler tells us why vegetables love flowers and how to use garden stakes, trellising, irrigation and birdhouses to support your garden. 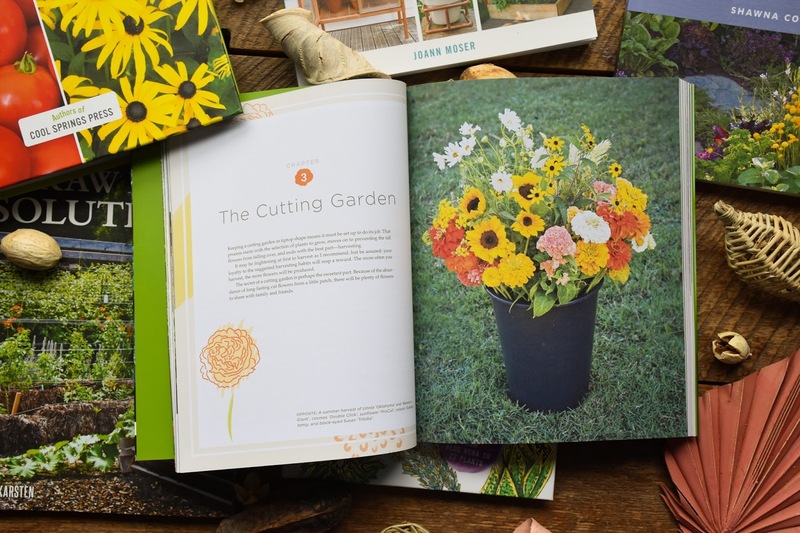 She tells us how to keep a cutting garden in tiptop shape and details which annuals to grow to bring butterflies, bees and hummingbirds to the garden. 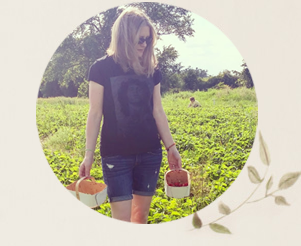 She describes pollinator and beneficial predator types and finally how to grow a healthy vegetable garden. Vegetables Love Flowers has me yearning for a big, bountiful garden with rows of sunflowers and black-eyed Susans. This one's a biggie. 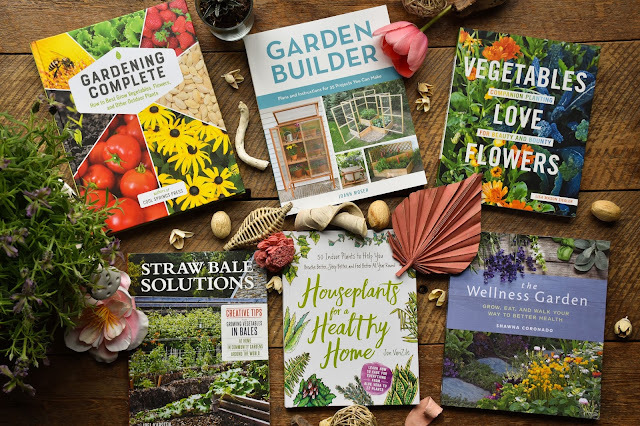 Gardening Complete: How to Best Grow Vegetables, Flowers, and Other Outdoor Plants is a one-stop shop for garden knowledge from eight prolific garden writers. 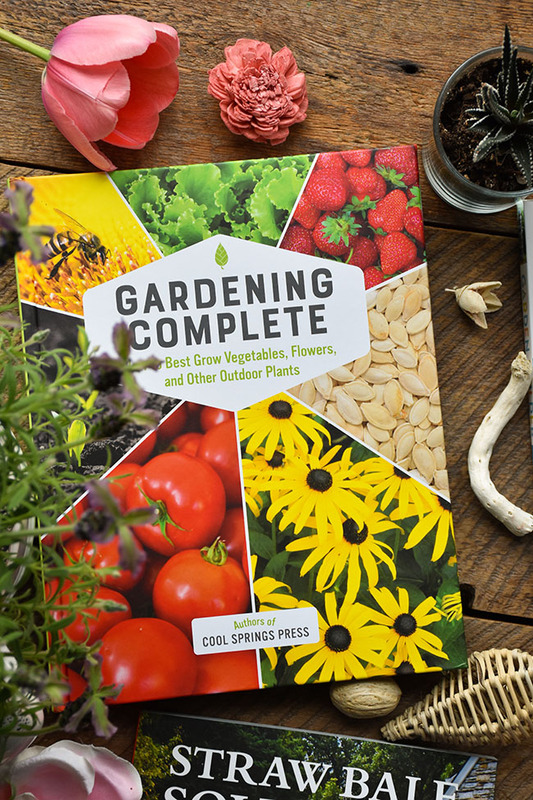 This is an encyclopedia of gardening know-how that's great to have on your shelf for those times when you have questions about your garden's progress. Subjects covered include soil and compost, pollinator gardens, container gardening, raised beds, watering, fertilizing and pruning, native plants, botany and weed and pest control. Intended for serious beginners to intermediate gardeners, Gardening Complete covers routine activities such as planning, planting and essential care, as well as controlling pests and disease and harvesting fruits and veggies. There probably isn't much call for straw bales on our small plot of land, but I think this book is intriguing anyway. Straw Bale Solutions: Creative Tips for Growing Vegetables in Bales at Home, in Community Gardens, and around the World tells us how the practice of growing food in bales has gained popularity. It allows people to grow fresh vegetables in colder climates and in environments where no food has grown before. 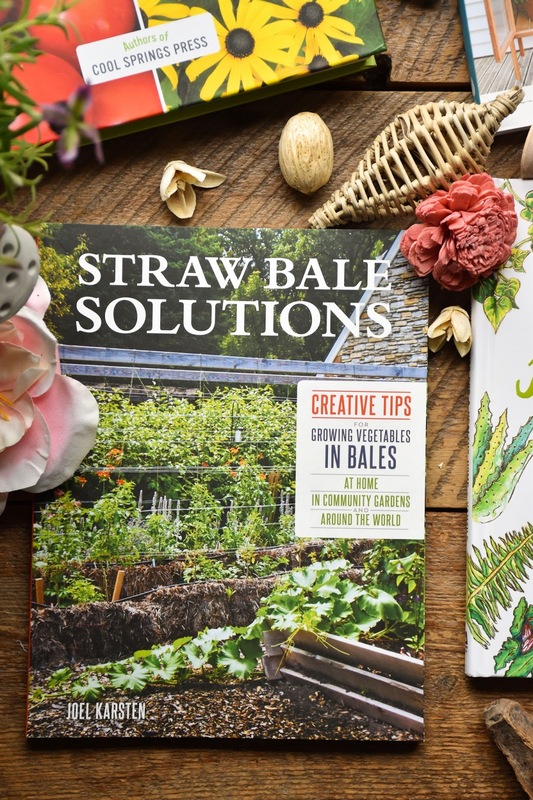 The books shares more than two dozen stories of straw bale gardens, including one in my beloved Nova Scotia (where straw bales can make for an earlier start to the growing season). What about you? Do you have a green thumb? What are your plans for your garden this year? Which of these books would help? I always enjoyed reading the books as much as I did doing the actual gardening. I think I like the reading even more, haha. It's like cookbooks, right?